In performance, sculpture, sound, scent and video I build multidisciplinary installations where I propose a new reality and ecosystem. Like in a cocoon I build sacred, abstract worlds under a glass dome. Where everyone and everything, organic or artificial, living or dead is honored equally. Where beauty and her decay is embraced. A feminine, theatrical and sensual biotope. It is my reaction to a daily life where, at a very fast tempo and with a commercial motivation, fake worlds, empty ideals and identities are continuously proposed. At the same time we are destroying what’s there, the natural world. To provide an antidote, I take matters into my own hands and shape my own surreal habitat. I am aware that this is a very intrinsic motivation, but the space I create is open and is an invitation to everyone. A space that exists through the connection with others. I started my research during an Artist-in-Residence at WORM, Rotterdam in november 2017. 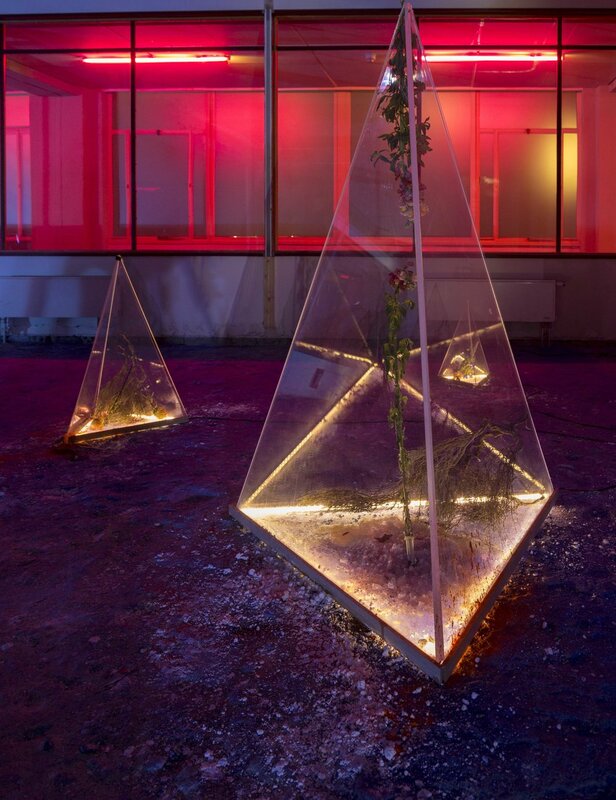 An experiment to create an immersive experience with shape, colors, flowers and fluids in an installation and music composition. A different reality, called The Landscape Project. I took this research further and created a 65 hour installation and durational performance for Motel Mozaïque 2018. 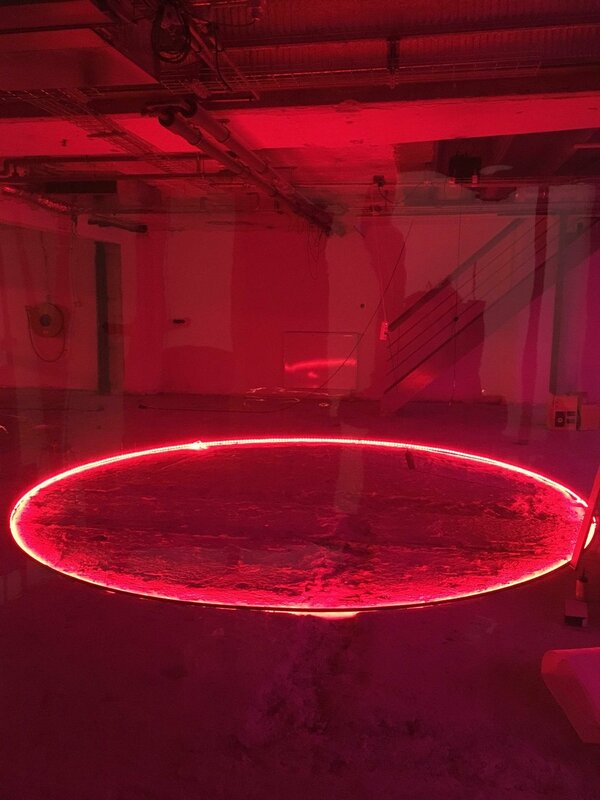 On the first of April I got the keys to a 330 m2 stripped former office-space and in a few weeks time I transformed the space into a Landscape for the Senses. The Landscape Project #1 performance and exhibition during Cellulose Congres at Extrapool, Nijmegen.